Temperatures in the 90s and, in one case, a late start didn’t stop a group of Wanderers from turning in another strong performance recently. 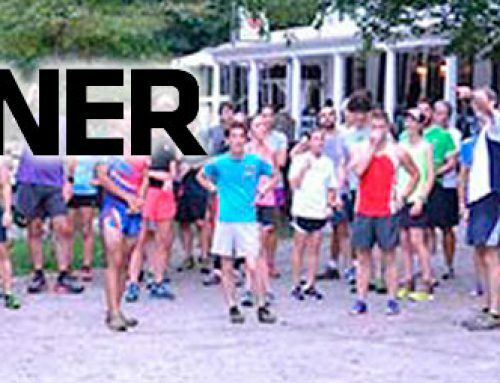 Some nine Wanderers and three friends tackled the Double Trouble 15K and 30K trail races at French Creek State Park on June 27 with the club’s top five finishers all taking home hardware. Helen Cheung led the way with an age group win in the 15K (F-30-39) and an overall female win in the 30k. Noah Shusterman, who finished just in front of his wife on the 30k, took second for his age group (M-40-49) and ninth overall in the 30k and Louis Secreto, who had never run such a distance before, finished shortly thereafter to take the third place award in the same group and 12th overall. 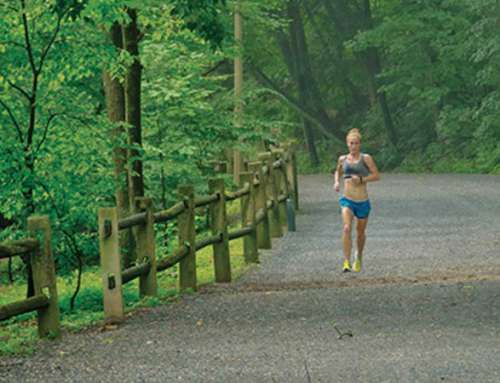 All three went through the chute for the 15K finish to score valuable USATF-Mid Atlantic points for the Wanderers before heading back out for a second loop on a rolling course that featured its share of roots, rocks and one very long hill. 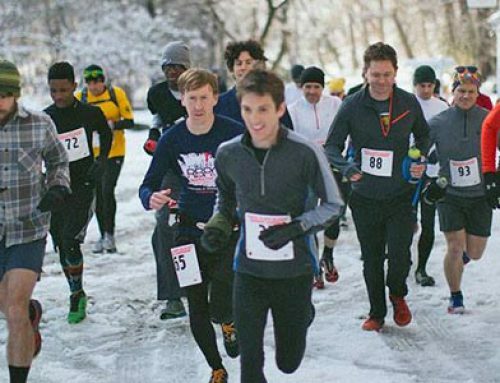 Rounding out the award winners were Leo Strupczewski (8th overall and 2nd M-16-29 in the 15K) and Peter Michener (12th overall and 2nd M-30-39 in the 15K). Due to a 20-minute late start, Dimples Dement just missed a third-place award in the F-30-39 age group. She finished less than five minutes behind the third place award winner despite her delay in starting. Friend of the Wanderers, Jeff Hayes, finished seventh overall and won the M-50-59 age group award. Everyone was pleased with their results and the race and course drew positive reviews. Leo: “A strange course for a Pretzel City Sports event. Though there were roots, rocks and hills, everything about French Creek State Park seemed serene and well-manicured. The trails were technical in places, but I’d almost describe them as clean compared to the trails around the Liederkrantz and the Pagoda. It wasn’t as rustic, I guess you could say. That being said, the rocks were very hard. My hip is still talking to me after a fall about a half mile from the finish. 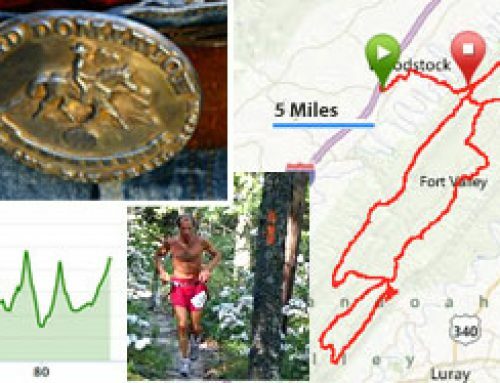 Like: Long, steady climb around miles 3/4; good support on the course in terms of water; lake to swim cool off in after with a tremendous view of the finish line; Ron Horn’s humor. NOAH SHUSTERMAN 1:17:55 – driver of the Mount Airy carpool. thank you!